The Pro-Ject Cover-IT range was developed to offer high-quality Universal dust covers for larger or higher-end Open / Sketal turntables, which may not have been supplied with such a safety measure. 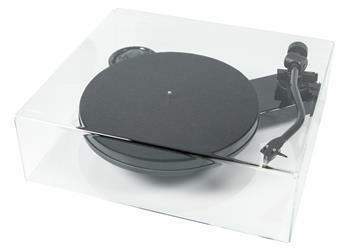 The Pro-Ject Cover-IT are great for protecting your turntable from dust and other environmental threats. These covers have been very carefully designed and are strong and very well made. made of a sturdy Plexiglas that protects your turntable from dust and damage and at the same time will add to the visual pleasure of enjoying the beautiful design of your record player.